Basically, this kid can pull a rocket fish on anything, be it a curb or a drop rail. Josh has been skating with me from the beginning, back when he was about 14. 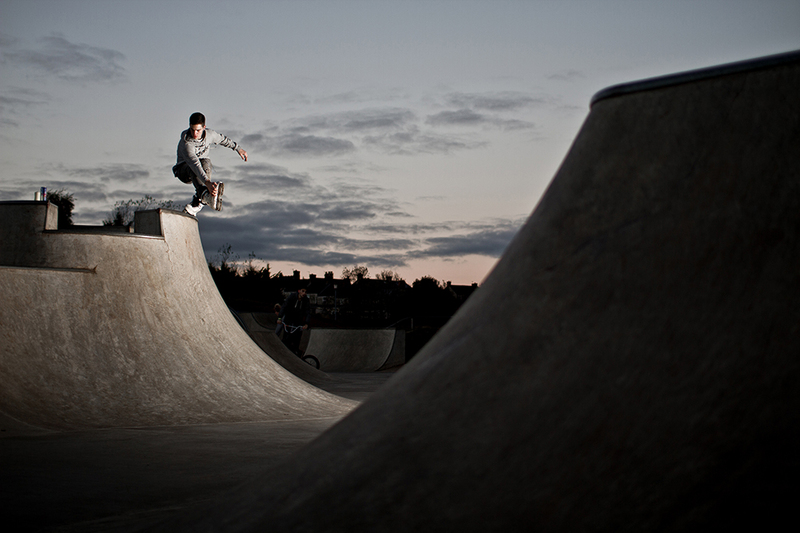 And even though he isn’t a very known blader, he still has a sick style and can make sweet images as you can see. This shot was taken back in September 2012 when I was using the Canon 7D at the time, and I had only one flash to light him up from the right. I was so happy with this image that I began using external flashes every time I took a photo, and I’ve been doing it ever since. It’s so good to show everyone my work on here, hopefully you like it, and I look forward to showing more work in the future.